In 2017, we worked with the Muslim Women’s Organization of South Florida, Project Motherpath, and For Teens By Teens to facilitate the following special events. We plan to continue all of these activities in 2018 and introduce new ones. We welcome your ideas and participation. RAA's roots are in A Taste of Syria, a program created to empower and employ Syrian refugee women in South Florida. The outpouring of support for these meals is beyond anything the founders ever imagined. The community has embraced the opportunity to welcome Syrians into their home and share their stories, all while enjoying a traditional meal together. Regardless of race, religion, language, or culture, food is a universal language that unites us all. If you are interested in hosting A Taste of Syria event, please contact us. Our community of volunteers came together last year and helped us raise enough money to send 33 children to summer camp! Thank you to a gracious donation from Temple Judea and the Jane Forman Tennis Academy, many of our children were able to attend camp for ten weeks. For Teens By Teens, a teen organization that partners with RAA, organized a free bazaar for our families with gently used household items including dishes, furniture, clothes, and shoes. Children who attended the bazaar were also given a new backpack full of school supplies for the upcoming year. Our partner, For Teens By Teens, organized a Fall Festival for our families complete with activities and a petting zoo. The festival was a fun way to help the kids usher in the change of seasons. 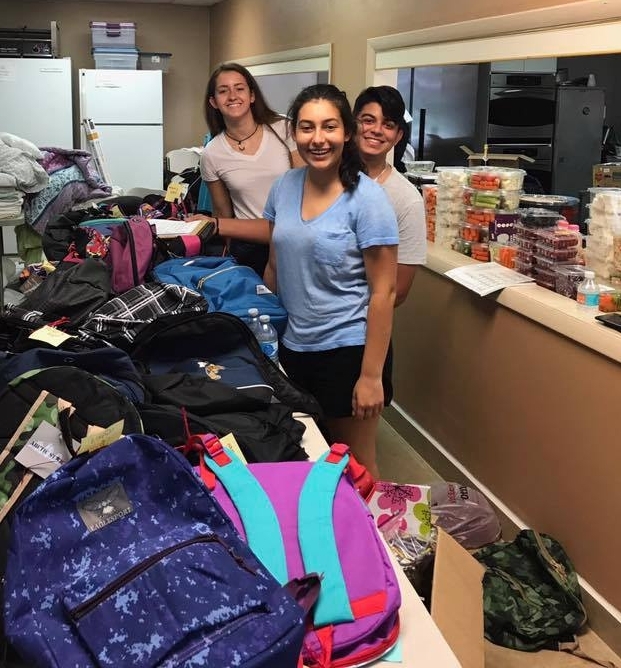 RAA partnered with International Children's School of Coral Gables to organize a holiday drive for our families. Parents generously donated nearly 200 new presents to distribute to our families. It was a beautiful example of why the holidays are known as the season of giving.